Unicorns and emojis are huge with kids these days so why not marry the two to make Poo-nicorns. Yep, there really is such a thing thanks to Bandai and we were lucky enough get our hands on some. Whoever came up with this hybrid definitely knows what kids these days love. If you want to know where Poo-nicorns came from head over here where you will find out everything you need to know about these Poo-tastic little creatures. If nothing else it is guaranteed to make you laugh. In the Poo-ginning from FunFun on Vimeo. 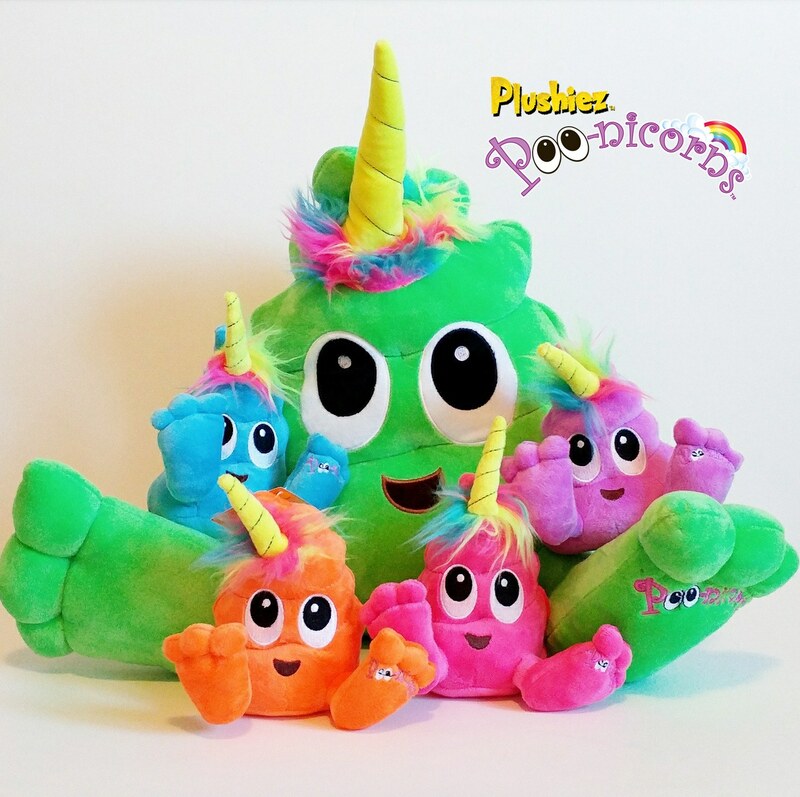 There is something for everyone in the Poo-nicorn range which includes plush toys, Squishiez and Droplings. All are complete with bold bright colours and big eyes making them the quirkiest characters around that instantly appeal to kids. How cute are these Plushiez Palz? They come in a number of different sizes ranging from the 9cm Hanging Plushiez Palz (RRP £3.99) with a carabiner clip to add to bags or keyrings, to 40cm Puffiez Pillows (RRP £9.99). There are also two larger sized Poo-nicorns Plushiez in the collection at 15cm and 25.5cm (RRP £12.99) which are available in the five different neon-coloured characters complete with multi-coloured hair. Kids will also love the Squishiez which come in their own little capsule which keeps them safe or can be converted into a moon cup to display them. My three children love collectables that come in blind packs so it was no surprise they were an instant hit. They have a squishy texture as the name suggests, and with holes underneath double as pencil toppers. 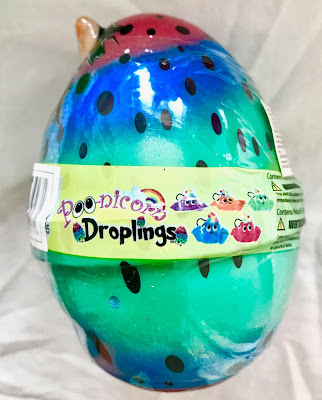 Droplings are hanging plush characters that come hidden in whimsical, colourful eggs, covered in speckles. Each egg contains a Poo-nicorns character with five different characters to collect. They also have a clip attached which Zoey loved as it meant she could hang it on her book bag. Zachary claimed the very cool reusable egg so it was win-win here and this was another one which has the added excitement of a surprise hidden inside. I never thought I'd say this about the poo emoji, but the Poo-nicorn range has made it cute. My kids love all the items we were sent and all their friends are desperate to get their hands on them too which speaks volumes. I have a feeling it is going to be a very popular range. I like the variety of products available and with prices starting at £2.99 they make a great pocket money toy. Our favourite item in the range was the Droplings egg as it was not only exciting to open, but the fact you can attach the cute plush character inside to a bag or keyring and bring it wherever you go made it the winner. I also have to award bonus points to whoever came up with the idea. 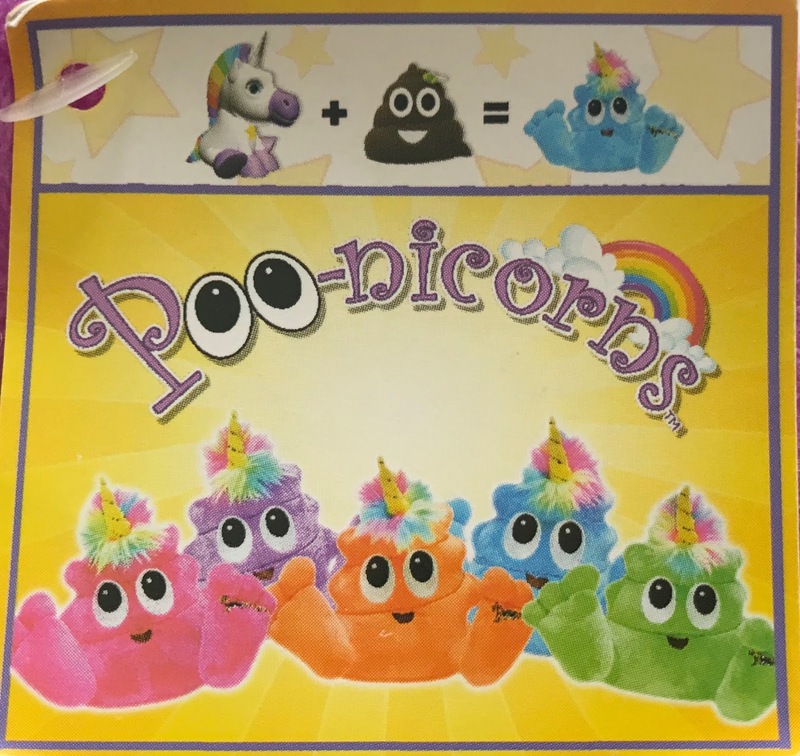 Poo-nicorns are available from the usual toy retailers and online from Amazon. 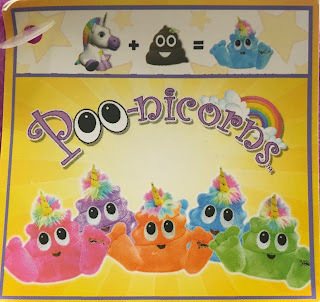 *Disclaimer: I received a selection of Poo-nicorn products for review. All views and opinions are my own and unbiased.